At Kaysand we are extremely proud of our newest show team members, Joshua Janev and his new puppy Kaysand Maken Sparks (Sparky). 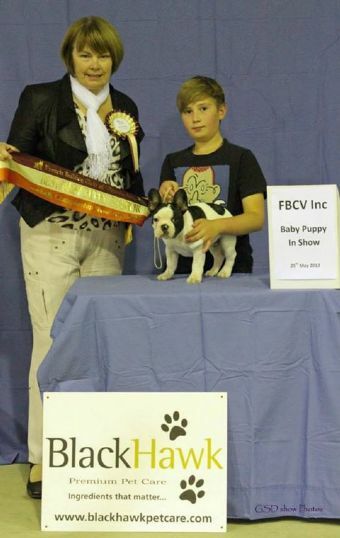 What a debut they made, winning BEST BABY IN SHOW at The French Bulldog Specialy Championship Show under Judge: Angela McInnes. Also winning 3rd place to his litter brother Kaysand Maken Me Crazy at the Open Show under Judge: Jean Anderson. Both judges are breed specialists. 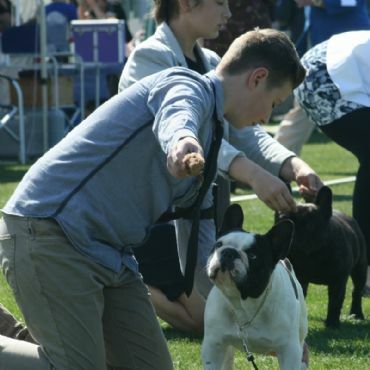 We believe this very young pair will do great things in the show ring and with this great start to their careers, can only be good for the show scene as there are very few new exhibitors. We hope that youngsters like this can be encouraged further to ensure the future of dog showing. 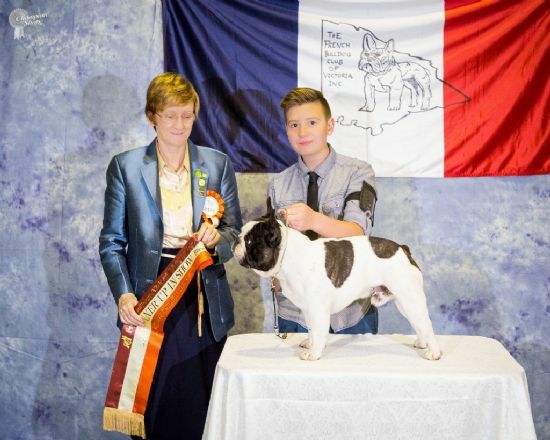 AND what could be better than to follow on from his first big win, but to win RUNNER UP BEST IN SHOW 2015 at the French Bulldog Club of Victoria Championship show under Margaret Joyce (Vic). Very close now to his title, we are so proud of Josh and Sparky.